The Rome Ciampino Airport, named after Giovan Battista Pastine, is located in the south-eastern area of Rome and absorbs most of the traffic from low cost airlines to some domestic destinations and to the main European cities such as Paris, London, Barcelona, Brussels​, Frankfurt, Dublin, Berlin and so on. Its traffic volume was of 4,781,731 passengers in 2011, with an increase of 4,8 % compared to 2010. Commonly called Ciampino Airport, it is actually located mostly in the central part of Rome, accessible from the famous Via Appia. The part located in the town of Ciampino is a military area. The proximity to the city of Rome greatly helped in its development, that is why it has been considered by many in the past, the "real" Rome airport. The airport of Rome Ciampino, born as aeroscalo in 1916, then became a military airport open to civilian traffic in the '30s and by the construction of Fiumicino airport opened in 1961 has for decades been a military base with a volume of air traffic, however small, never exceeding 15,000 aircraft movements per year. The distance from the centre of the city is about 15 km and it takes 40 minutes to reach it. The connection city/airport is guaranteed by bus lines such as Terravision, Schiaffini Travel, Cotral and Sitbusshuttle connecting Ciampino with the central station Termini with frequencies of 20/30 minutes. Alternative connections are possible using the network of city buses that connect the airport with Ciampino railway station and the bus stop Anagnina Metro. Moreover, it is possible to reach or leave the airport by taxi. In this case, the price for the taxi service for all destinations within the Aurelian Walls is 30 euro. It includes luggage and it is valid for a maximum of four passengers. At the airport of Rome Ciampino shopping is on a human scale. In a comfortable and cosy atmosphere you will find everything you need and at the right price. Careful selection of perfumes, liquor, food, gifts and clothing are waiting for you, all proposing very favourable purchase conditions. While waiting for your flight you can also enjoy a relaxing moment in the four bars and restaurants. The frequent connections to the centre make the area particularly suited to business travellers, who can stay in high quality hotels very close to the Ciampino Airport. 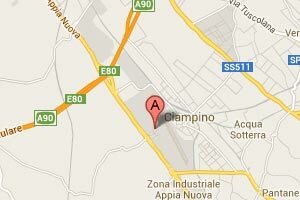 Moreover, at the Rome Ciampino Airport are the offices of the largest car rental companies as well as local companies. There you can take a rental car to get to Rome. For a quote that compares all the companies present at the Airport of Rome Ciampino you can visit the website romeairportcarhire.net. On the website you will have the opportunity to know all the ongoing offers and promotions to complete the journey from home to the airport or other rental discounts, for example, to get yourself a representative car while working. Car hire at Rome Ciampino Airport is a great idea if you do not want to give up on freedom and independence during your journey.